R2002, Richard Sloan. 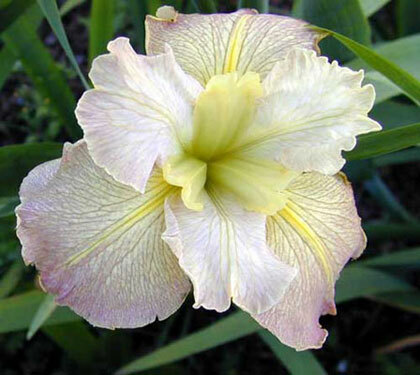 38", M. Falls pastel lilac veined deeper, with yellow edge and reverse. Standards pastel lilac pink with yellow reverse. Style arms cream green. Signals yellow and extending to near end of petal, less intense on standards; edges serrated. Unknown parentage.